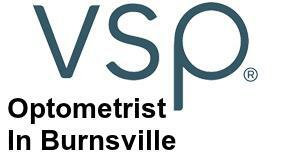 Are you searching for an optometrist in the Burnsville MN area who takes VSP insurance? Then you’ve come to the right place! As a VSP provider, Dr. Steve Reinders and staff provide you with quality vision care, a wide-range of stylish designer eyewear and the personal attention that can only come from an independent VSP eye doctor. VSP (Vision Service Plan) is one of the largest vision insurance plans in the United States. Only independent, private-practice optometrists are allowed to participate as a provider. Because private practice eye doctors stay with their patients year-after-year, choosing an eye doctor means that you won’t have to worry about seeing a new doctor each year. There is a large network of VSP eye doctors (optometrists and ophthalmologists) across the US including the Minneapolis–Saint Paul area. VSP is actually not insurance, rather it operates by providing members with discount on vision services and products. It covers eye exams and eyeglasses (frames and lenses), generally one pair every two years. You can choose any eyeglass frame from our large selection of latest fashions and technology. How much will VSP save? Your employer’s particular plan will determine what benefits you are entitled to, which varies from person-to-person. The best way to determine exactly what your VSP benefit will be is to contact us or check your benefit on the VSP website. Or, if you already know your VSP benefit, you can schedule an eye exam now by calling (952) 562-8116. Be sure to have your VSP member id handy. By going to a VSP provider in the Burnsville area such as Complete Family Eyecare, you don’t have to clip coupons or wait for a sale like with retail chains. Savings are already included with your VSP plan. Why choose Complete Family Eyecare as your VSP provider? We provide personalized vision care from an eye doctor who is passionate about providing the ultimate in eye exams and vision care. We are an in-network VSP provider, which means there are no claim forms to complete. We will take care of the paperwork for you! If you’re unsure of what is covered, call our eye clinic at (952) 562-8116 and we’ll be glad to look it up for you. Each employer offers slightly different coverage, so if you want to be certain, check with us. Once you understand your particular plan benefits, schedule your eye exam appointment with Complete Family Eyecare. Our patients can have varying schedules, having to fit them around family and career, so we have flexible hours, including lunch-hours, evenings, mornings and weekends to meet your needs. Refer to our eye clinic hours here. 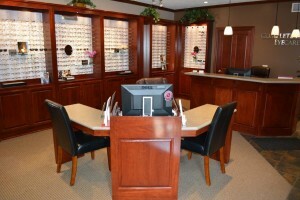 Complete Family Eyecare offers the most comprehensive eye exams in the Burnsville MN area. Your eye exam will be done by optometrist Dr. Steve Reinders and unlike the chains; we don’t overbook or rush our eye exams. Learn more about what to expect during your eye exam or contact lens exam. Based on your prescription, our eyewear experts will help you find the perfect frames for you. We look at facial structure, your personality and sense of style. We also offer prescription sunglasses and glasses for those of us that spend a lot of time in front of a computer. Yes, if your group’s VSP plan has coverage for contact lenses. If you choose contacts, you may not be eligible to receive any frame and lenses during the same service period. To find out if your plan allows this, log in to your vsp.com account. Yes, if your group’s VSP plan includes a copay, you will need to pay it to your doctor during your visit. Copays typically apply to both you and the dependents covered under your VSP plan. Which eyeglass lenses to I have access to? You can choose any of the eyeglass frames and lenses that we offer. Your final cost will be determined by the discount provided by your plan. This means you have access to higher quality lenses like Essilor, Varilux, or Zeiss. Does VSP cover computer vision eyeglasses? Yes – we have a specialty range of lenses designed to reduce eyestrain while using your computer. Some of these lenses use blue blocker technology which has proven to reduce eye strain for frequent computer and smart phone users. Here at Complete Family Eyecare, we believe in establishing a healthy doctor-patient. Dr. Steve, through his extensive training and experience can detect differences and changes in your vision and eye health. 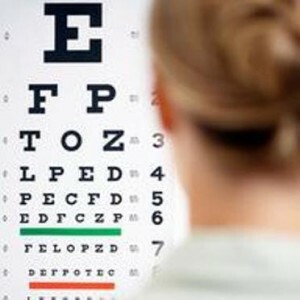 We use the latest eye care technology which ensures accurate vision exams and diagnosis.